My research focuses on identifying effective strategies to support the implementation of evidenced-based guidelines, policies, and practices in community settings to reduce the risk of chronic disease in the population, with a focus on nutrition and physical activity in young children. This involves using systematic and high quality methods to develop and evaluate programs as well as working closely with end-users to help ensure that the programs meet their needs. As a dietitian, I have always been interested in helping people eat better and live a healthier lifestyle. After graduation, I spent a short amount of time working in private practice, where I realised that the many barriers to healthy eating and physical activity were structural and environmental and that without addressing those, many people cannot change their diets. I started working in public health after my PhD and become absolutely convinced that changing the environments that people live and play in are integral to helping people create healthier lifestyles. A lot of my work now is focused on helping childcare centres and schools provide healthier environments to young children. I must say I get a huge thrill when my daughter attends a centre that implements one of our programs! I want my research to make it is easier for people to live healthier lifestyles. We often have such full lives and are bombarded by so many different messages that make developing healthier behaviours challenging on an individual basis. I believe that population approaches are essential to achieve better health for all of the community. 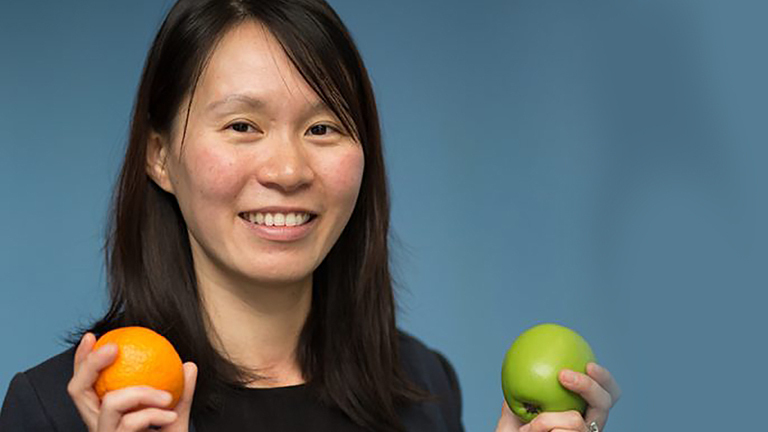 As a behavioural scientist and experienced dietitian with expertise in practice-based translational research, Dr Yoong has a vision to improve community health by implementing new research and best-practice guidelines into community settings. Her research program focuses on developing and testing research translation strategies to support community and health service organisations in preventing obesity and other chronic disease risk factors. She is also interested in identifying ways of making research evidence more relevant to support community, policy and practice decisions by working with policy organisations including the World Health Oganisation and Cochrane. Dr Yoong's research primarily involves undertaking randomised and other forms of controlled trials to identify effective interventions in community settings such as health care services, schools, childcare centres, and primary care. This research is informed by key service delivery evidence-practice gaps and the formation of active partnerships with relevant service providers, which aims to ensure that the proposed interventions, if shown to be effective, are relevant, feasible and capable of being implemented into routine practice. Dr Yoong was subsequently awarded an Australian Research Council Discovery Early Career Research Award to undertake work building on her previous fellowship. Her current research focuses on applying theory to identify mechanisms of complex interventions to support adaptation and scale up of effective interventions. Dr Yoong's work continue to focus on identifying technology-based solutions to improve the implementation of policies and practices to improve children's healthy eating and physical activity.